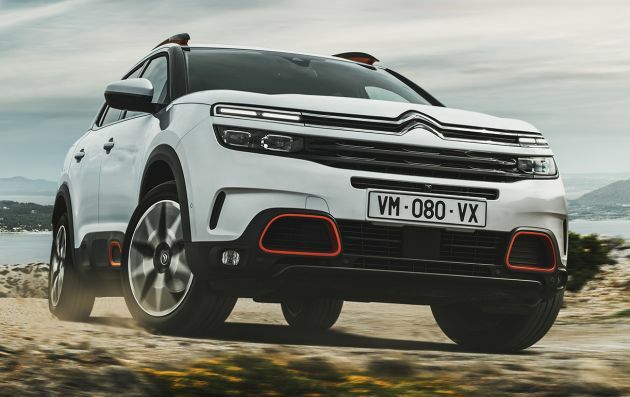 More than a year after the Citroën C5 Aircross was revealed for the Chinese market, Europeans are finally getting the chance to own one as the SUV is headed for the Continent at the end of this year. The extroverted styling, inspired by the Aircross concept from 2015, remains of course. The dual-tier LED headlights and grille, distinctive (and protective) Airbumps along the side and prominent C-shaped chrome window surrounds. Buyers can choose from seven body colours, wheels measuring from 17 to 19 inches in diameter and three Color Packs with coloured inserts on the front bumper, Airbumps and roof bars. Also retained is the horizontal dashboard design with “soft and warm materials,” vertical air vents, a 12.3-inch digital instrument display and an eight-inch central touchscreen, plus a wide and tall centre console that provides the front occupants with a cocooned feel. There are also three individual sliding, reclining and folding seats, along with a boot measuring between 580 and 720 litres depending on the seat positions. 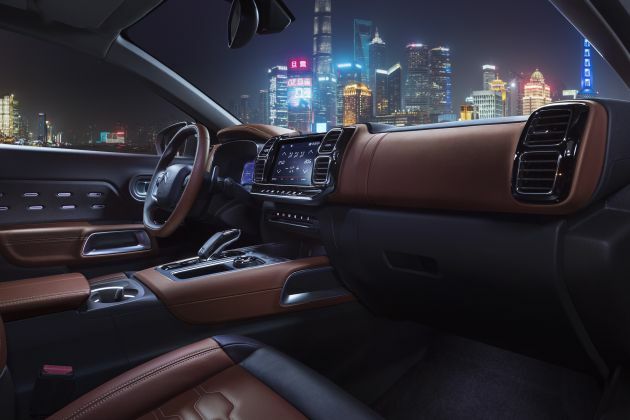 Available features include Nappa leather upholstery, a panoramic sliding sunroof, wireless smartphone charging as well as the ConnectedCam Citroën dash cam. As for safety, Citroën claims that the C5 Aircross comes with 20 driver assistance features. These include the Highway Driver Assist that uses Adaptive Cruise Control with Stop & Go and Active Lane Departure Warning to provide Level 2 semi-autonomous driving. Built on the PSA Group’s EMP2 platform, the five-seater C5 Aircross has a wheelbase spanning 2.73 metres – putting it smack in the middle between the Peugeot 3008 (2.68 metres) and the seven-seater 5008 (2.84 metres). Its 4.5-metre length also puts it between the two cars. 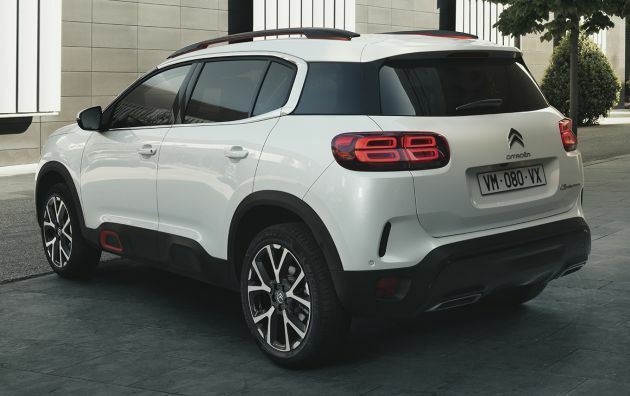 The C5 Aircross is fitted with two innovations as part of the Citroën Advanced Comfort programme, including padded Advanced Comfort fabric upholstery for the seats and Progressive Hydraulic Cushions in the suspension. The latter consist of hydraulic bump stops that slow down body movement to avoid sudden jolts at the end of travel, enabling the springs and dampers to be made softer and thus, comfier. Attention has also been paid to soundproofing the engine bay and insulating the cabin from road and wind noise, including the incorporation of double-laminated front windows. Engines consist of two petrols and three diesels, all of which conform to the Euro 6.2 standard. On the petrol side, there’s the PureTech turbo 130 PS 1.2 litre three-cylinder and 180 PS 1.6 litre four-cylinder mills, both with start/stop (S&S). The 1.6 BlueHDI four-pot turbodiesel, meanwhile, comes with either 130 PS (with or without S&S) or 180 PS. Transmissions include a six-speed manual and an eight-speed EAT8 automatic. Closer to home, the C5 Aircross will arrive in locally assembled (CKD) form in Malaysia next year, following the PSA Group’s purchase of a majority stake in Naza’s assembly plant in Gurun, Kedah. I thought the Citroen badge is gone for good ….. This is a gorgeous SUV. Citroen Malaysia please price it right. I would love to change my 5 years old CX5 for this. Breath of fresh air from a company always looking to innovate design and features. Kudos Citroen. the interior is pretty cool. how is it possible that the 1.2 litre PureTech turbo three-cylinder can produce 180 ps ? Ah, my mistake, it was a 1.6 litre mill, the article has been corrected. Thanks for pointing it out!